Dust off those binoculars, the springtime aerial show is about to begin! There’s no finer acrobatic display than the one you’ll see right around your hummingbird feeder. Hold fast, here they come! 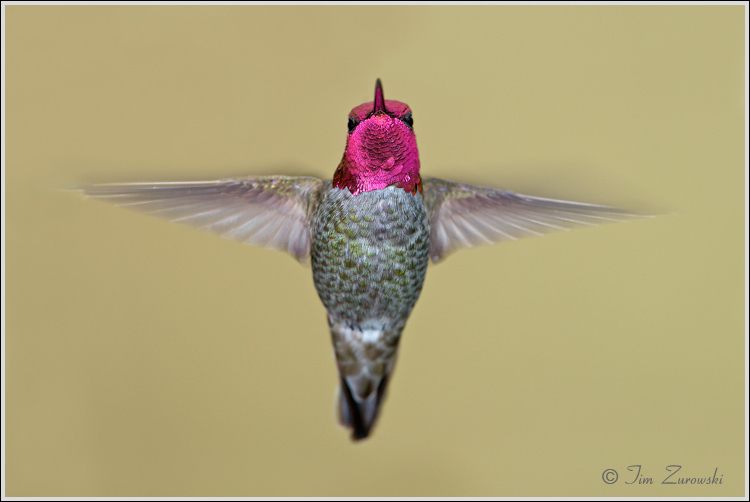 Hummingbirds are the smallest and most acrobatic birds in the animal kingdom. Many birds can fly faster (Falcons) and some even hover (Kingbirds) but hummers are the only birds that can fly backwards. That’s right…backwards! They accomplish this magical feat by beating their wings on both the upstroke and down-stroke. This requires them to rotate their wings in the shoulder socket; unheralded among other avian species. 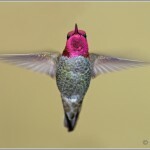 Have you ever seen slow motion photography of a flying hummer? Some species beat their wings as fast as 80 beats per second, and can fly at speeds exceeding 35 miles per hour. Their name draws from the humming sound created by their beating wings, which sounds like bees or other swarming insects. There are approximately 340 species of hummingbird; the Cuba Bee hummingbird is the smallest and builds a nest no larger than a walnut shell. Many species weigh less than a penny. In Calaveras County, it’s common to see the Anna’s, Calliope, Broad-tailed, and Rufous species of hummingbird. Hummers have the highest metabolism of any bird, which requires them to sip up to twelve times their own body weight in nectar each day. Hummingbirds can’t spend all day flying, as the energy required would be prohibitive, so the majority of time is spent perching. They feed in many small meals, consuming countless tiny invertebrates and copious amounts of nectar. They spend an average of 10–15% of their time feeding and the balance resting and digesting. All hummingbirds possess the remarkable ability to enter a state of semi-hibernation called “torpor” to reduce their metabolism to 1/15th of their normal rate, usually at night and when food is scarce. When nights get cold, a hummer’s body temperature drops significantly, slowing its heart and breathing rate, thus burning much less energy. 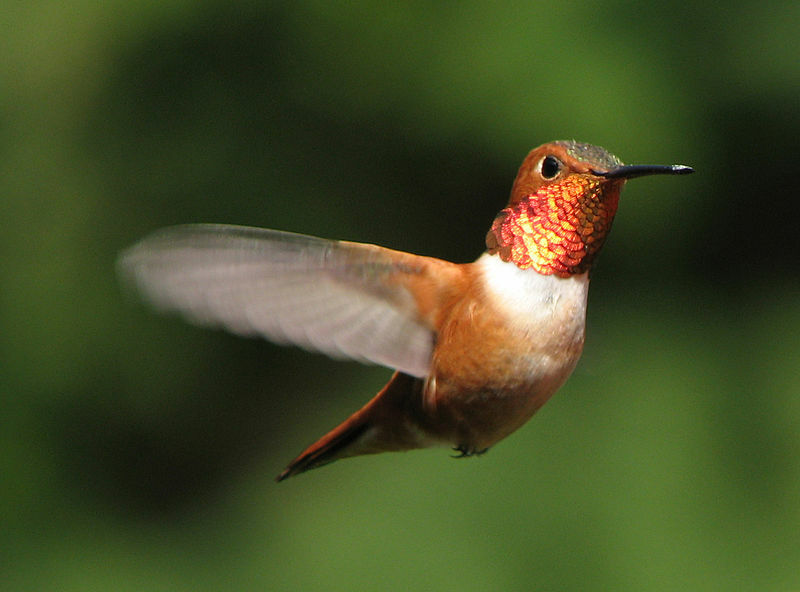 As the day heats up, the hummingbird’s body temperature also rises and they are able to resume normal activity. Hummingbirds typically have bright plumage and exotic coloration. Through a structural feature in their feathers that refracts light like a prism, light splits into wavelengths that reflect different iridescent colors. 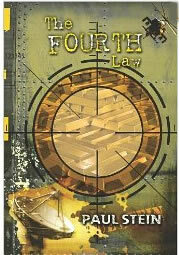 A nondescript hummer can suddenly become fiery red or vivid green merely by shifting positions! This allows hummers to shine from some angles but look quite drab from other vantage points. Feeding hummingbirds can be quite enjoyable. They like sugar water, which doesn’t need to be colored, as there’s speculation that red food-coloring may contribute to premature death. To make your own nectar, mix one cup granulated sugar (not powered) with four cups water. The higher the concentration of sugar, the better the hummers will like it. Remember refresh the nectar every three to four days to keep it fresh and reduce the instance of yeast and bacterial growth. And watch out for bees and ants that will also be attracted to the feeders and discourage the hummers from feeding. It’s important to put out hummingbird feeders early on in the spring to catch early migrators. Even more important is to remove the feeders soon in the fall to encourage them to head south and miss early cold snaps which could prove perilous. Hummingbirds are very territorial, which makes confrontations around bird feeders entertaining. It’s not uncommon for a male Rufous hummingbird to spend most of his time shooing away intruders, which can become a full-time job in the spring when countless hummers are passing through the area during migration. Hummers breed in the early spring after they complete their migratory trip from sunny Mexico. The female handles the entire nesting duty and will produce two beige-brown colored eggs, which are surprisingly large compared to the size of the female. Incubation lasts 14-23 days depending on species, ambient temperature, and female attentiveness to the nest, which demands she spend 25% of her time feeding to keep up her own metabolism. Hummers have a surprisingly long life given their extraordinarily high metabolic rate. It’s not uncommon for some species of hummingbirds to live a decade or longer, and some have lived as long as 13 years. By comparison, shrews, which also exhibit a high metabolic rate, only live two years. 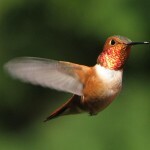 Hummingbirds are found in the Americas from southern Alaska to Tierra del Fuego, including the Caribbean. The majority of species live in tropical and subtropical Central and South America. The Rufous Hummingbird, frequently seen in Calaveras County, is one of several species that breed in North America and winter in increasing numbers in the warm subtropical southeastern United States, rather than Mexico. Clean up those hummingbird feeders and make a fresh batch of nectar, because you can bet our itinerant Calaveras hummers will arrive famished after their long trip from south of the border.